PHOENIX – America had just entered the “war to end all wars” in Europe. Demand for metal ore was rising. Unionists and radical socialists of the International Workers of the World – known as the Wobblies – were demanding better wages and conditions from corporations across the country. A strike against copper giant Phelps Dodge in Jerome had just been crushed. That was the backdrop in Bisbee on July 12, 1917, when a deputized mob of townspeople rousted 1,200 miners from their homes at gunpoint. The mob marched the miners – mostly immigrants from Mexico and Eastern Europe who had struck Phelps Douglas seeking safer conditions – to the town’s baseball field before forcing the men into filthy cattle cars and shipping them 200 miles to Tres Hermanas, New Mexico, with little food or water. There, they were taken off the train and told to never return to Bisbee. 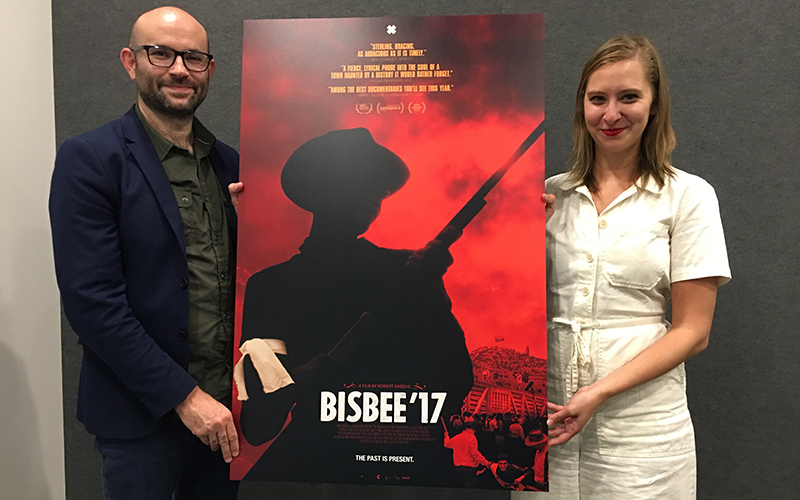 The documentary “Bisbee ’17” tells the story of Bisbee residents who last year re-enacted the July 12, 1917, deportation. The film was screened at the 2018 Sundance Film Festival before premiering in New York. Now, it’s showing in select theaters in Flagstaff, Prescott, Scottsdale, Sierra Vista, Tucson and Yuma. Producer Bennett Elliott said the film was shown in Bisbee in July on the 101st anniversary of the deportations. “We had a weeklong series of events and we did three sold-out screenings, so we know that they like it,” Elliott said. As Elliott listened and sometimes joined the conversation, director Robert Greene described how the film connects the past to the present and why Arizona is special. The interview, conducted in Phoenix, has been lightly edited and condensed. What can the audience expect to learn from this film? One hundred years ago, 1,200 striking miners – most of them immigrants from Mexico, from Eastern European and other places – were rounded up by gunpoint because they were striking for better wages and working conditions. They were considered anti-American. They were considered anti-war because we had been in World War I for just a few months. They were rounded up, put on cattle cars at the ballpark and then dropped in the middle of the desert and left there. It’s a shameful moment in our history. It’s a shameful moment in Bisbee’s history. How did you discover the story? I started going to Bisbee in 2003 when my future mother-in-law bought a tiny mining cabin there just to have a summer home or just a place to visit for holidays, like a lot of people do in Bisbee. She’s a historian and she was fascinated with the history of the place. I went there and immediately got Robert Houston’s book, Bisbee ’17, which was a fictional version of the story. This was many years before I made my first feature. I knew we wanted to make a film out of it. My first instinct was maybe we could re-create the Bisbee deportation with locals in town and I had no idea what that could mean. Many years later, I had gone to Bisbee many times. I had family that lived there and family that had left on my wife’s side. I just never shook that story. Then we realized that it was the 100th anniversary of the deportation and we decided to go back. So we went to town and we documented what the town was doing to commemorate the centennial themselves. On top of that we collaborated with the locals to re-create the deportation. 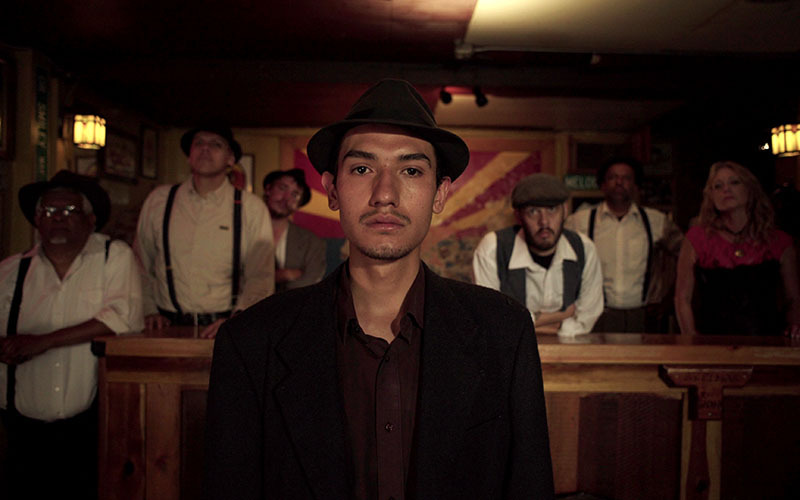 Why do a documentary about a century-old deportation using Bisbee residents? The important thing is that when you see these re-creations happening you know the characters and you know what their feelings are. It’s not about just escaping into the story. In some ways, it’s really about the present and the people who are making this happen today. The ’17 in Bisbee ’17 is 2017. How do you think Arizona residents will respond to the movie? This is where the story needs to be told. I think people will be surprised by it, if they haven’t heard about the deportation. But I think it also does speak to many elements of what people know in Arizona. The immigrant issues, labor issues, were conjuring a lot of things in the film. I would like to say that we are going to start some conversations. That’s the idea. What struggles emerged from using residents of the town for this film? We could have written a fictional version of the movie but the point is, how is Bisbee reckoning with this? It’s just really special to be here in the state. People fall in love with Arizona. You drive around and you see all these different landscapes, all the different places. The first place I ever went was Tucson and then, to Bisbee. I just love the place so much.